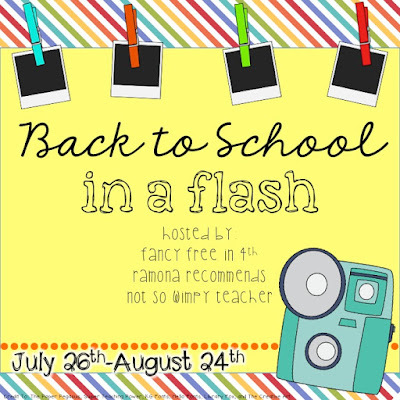 I'm excited to be a part of this Back to School in a Flash linky with members of iTeach Third, iTeach Fourth, and iTeach Fifth, and hosted by Layla from Fancy Free in Fourth, Courtney from Ramona Recommends, and Jamie from Not So Wimpy Teacher! For the next four weeks, we will be bringing you different ideas to help get your year off to a great start! 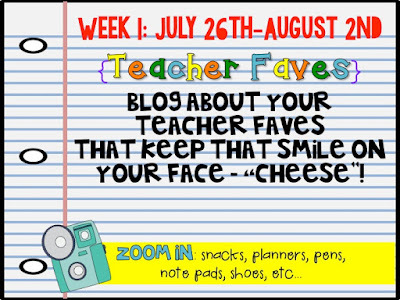 This week we are featuring our Teacher Faves. I love the beginning of the year. Stocking up on school supplies, shopping for new wardrobes and teacher goodies always reminds me of starting a fresh, brand new school year. 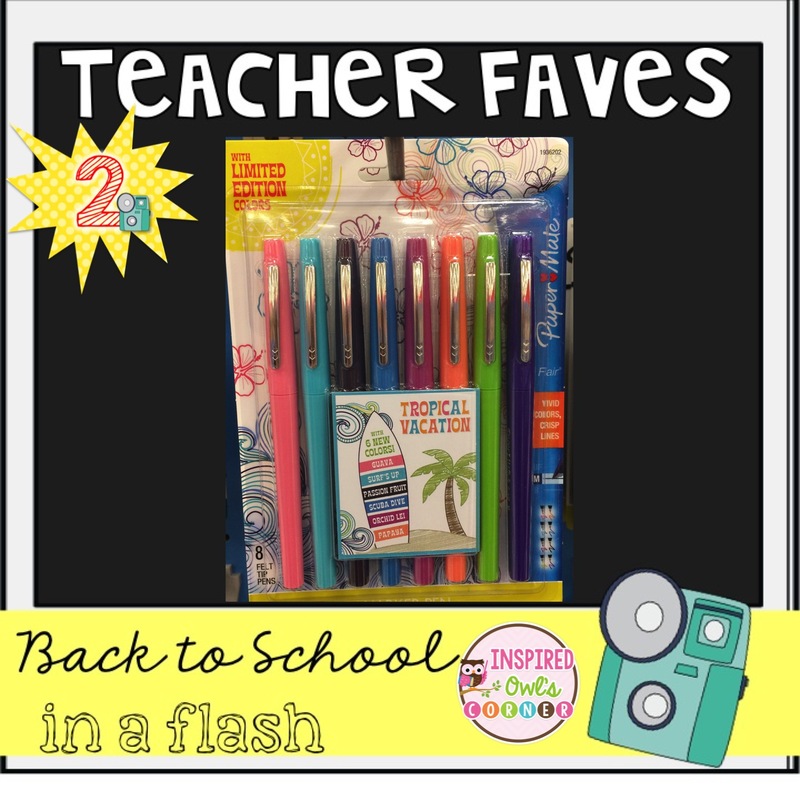 Here are my teacher must haves, my favorite things that I can't teach without! I have used an Erin Condren teacher planner for a few years. Last year I used a pre-made digital planner that I printed myself and kept in a binder. That worked better for me since I had a combo last year. This year I knew I would use my EC teacher planner that I had set aside last year. I love the layout of the planner and how everything is in one reasonably sized planner. I have my lesson plans, grades, assessment scores, parent contact info, student birthdays, student info, and other important info at my fingertips. I love the pre-made stickers and blank ones they include in the back. 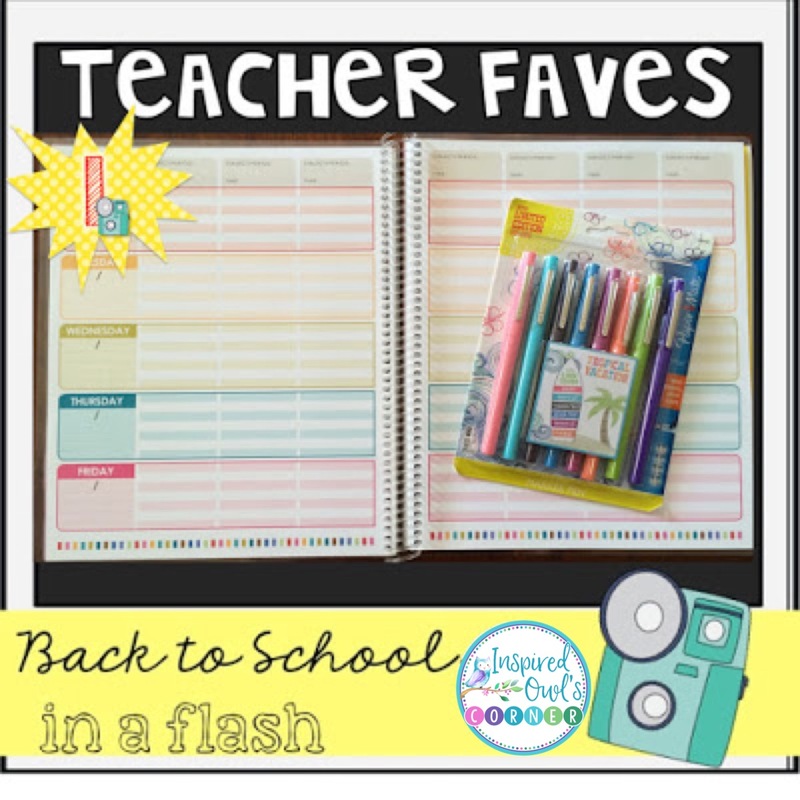 They are a little pricier that some of the other teacher planners, but I think they are so worth the value. I can make it through an entire year without my planner falling apart. And I use it everyday! When I think about how much I use it, it's worth the price. 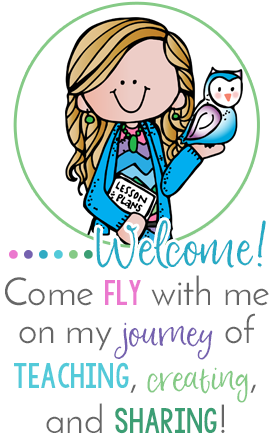 Are you planning to buy an Erin Condren teacher planner for next year? 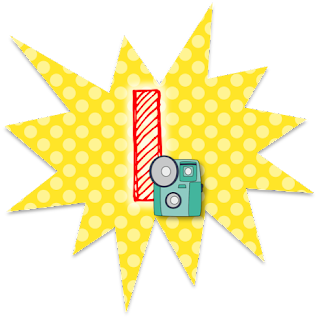 If you like to save $10 on your first EC purchase, you can use my link to set up an account, and Erin Condren will send you a code for $10 off your first purchase! Click HERE for my link if you are interested. 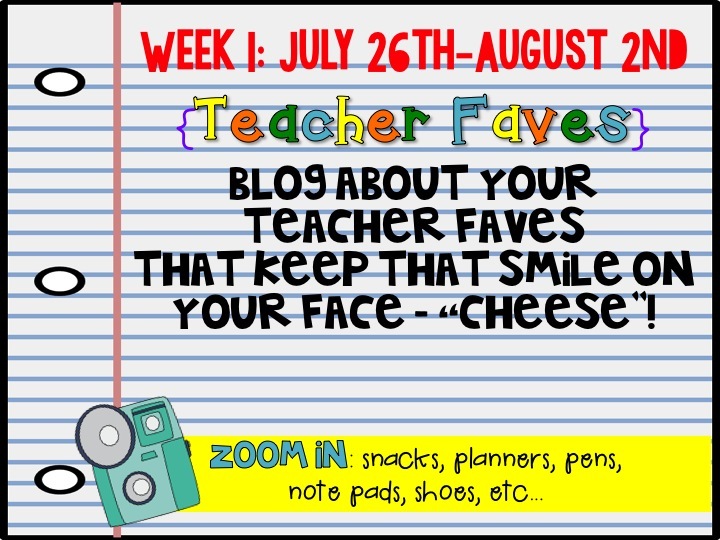 My second teacher fave goes with my first! I Have to color code my lesson plans, and I HAVE to use Flair pens! They are the best pens to use with this planner. They don't bleed through, they have a nice sharp tip, and the colors are vibrant and gorgeous! They dry really fast, so I don't have to worry about them smearing like other pens do. I bought this pack at Target, but Staples and Office Depot sell larger packs. Sometimes Amazon has great deals too. I have used a lot of pens, and hands down, Flairs are my favorites! I usually get a new lunch bag at the beginning of a new school year. These adorable lunch bags are at Target right now! I fell in love with the yellow and grey one. These reminded me of Vera Bradley, but they are about 1/3 the price (see below!) They are very reasonably priced and so stylish. Target also had a Bento box style lunch pack with owls on it. I might go back and get one of each! 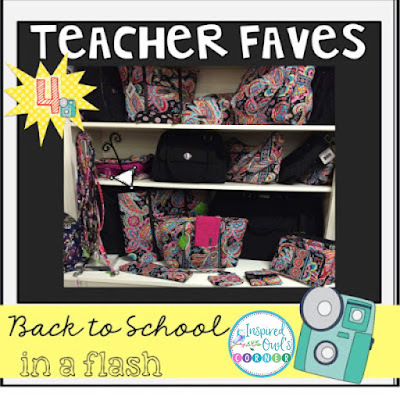 Nothing screams back to school more to me than a new Vera Bradley teacher tote. This store is one of my favorites, and had lots of different styles. This gift boutique is my favorite place to shop for Vera goodies, although I'm still on the fence about which pattern I like the best and haven't bought one yet. (I think I am leaning towards this pattern). These totes are pricey, but they are made very well and last forever. Just like the planner, if it's something that I use everyday, I don't mind paying a little more for the quality. I love Brighton jewelry, and these badge holders are so cute! I use mine to hold my classroom keys. People are always asking me where I got it, and they think it's a piece of jewelry. 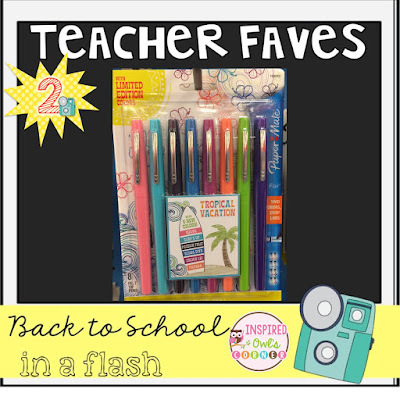 What are your teacher must haves for back to school? 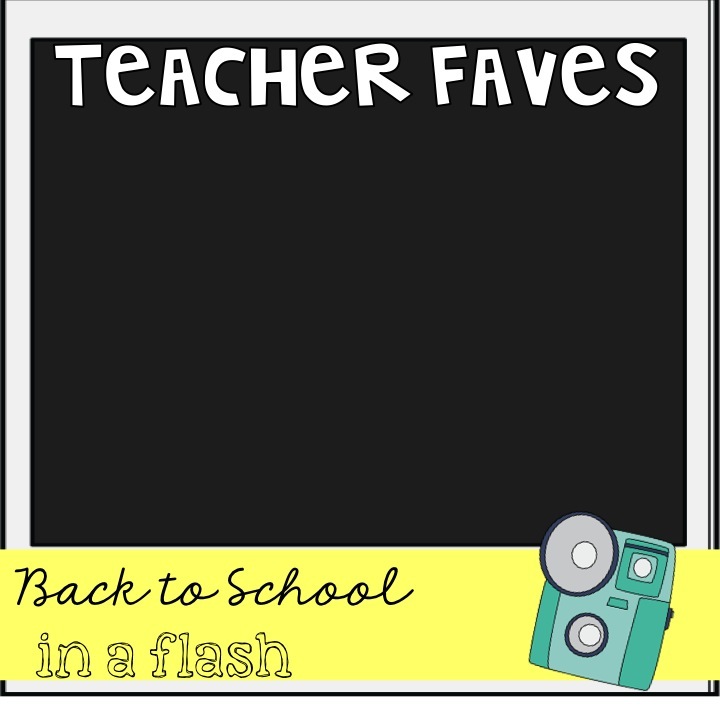 Grab the polaroid and flash graphics below, and blog about your teacher faves and link up! Or leave a comment about your favorites if you don't have a blog! 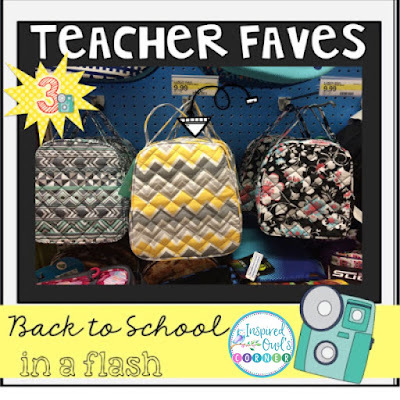 Loved your post, definitely some of my favorite back to school things as well! I have always LOVED the "pretty badge holders" but never knew where to get them! Thank you, Kara! 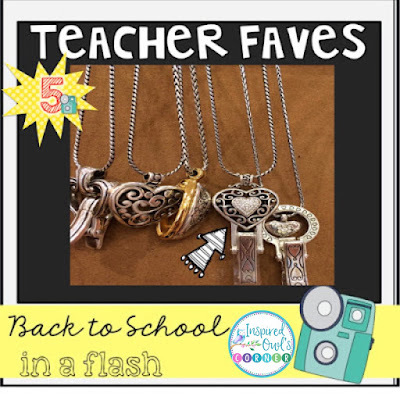 It's always fun getting new goodies for a new school year! I LOVE lunch pails too! I need to get a new Brighton ID tag, mine broke last year- I hear they replace them though. Fingers crossed. Thanks for linking up! That's great to know, Layla! I hope they replace yours! We are like twinsies! I adore my Erin planner, hoard Flair pens and drool over Vera Bradley bags. I went to the outlet in Vegas and somehow my husband dragged me out with only a small tote for my daughter. Those lunch boxes are pretty cute! I hope my Target has them! That's so funny Jamie! And I can't believe you didn't get anything for yourself at the Vera store! Love your faves!!! Looks like we share a LOVE for our EC planners and Flair pens!!! One of my students bought be a Brighton badge holder at the end of the year. 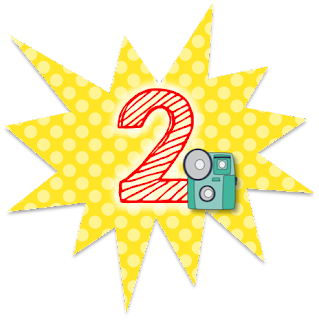 I can't wait to use it this year!! How lucky are you to get the badge holder! You will love it! Absolutely! Anything that you use every day has to be that cute! I love Vera Bradley. 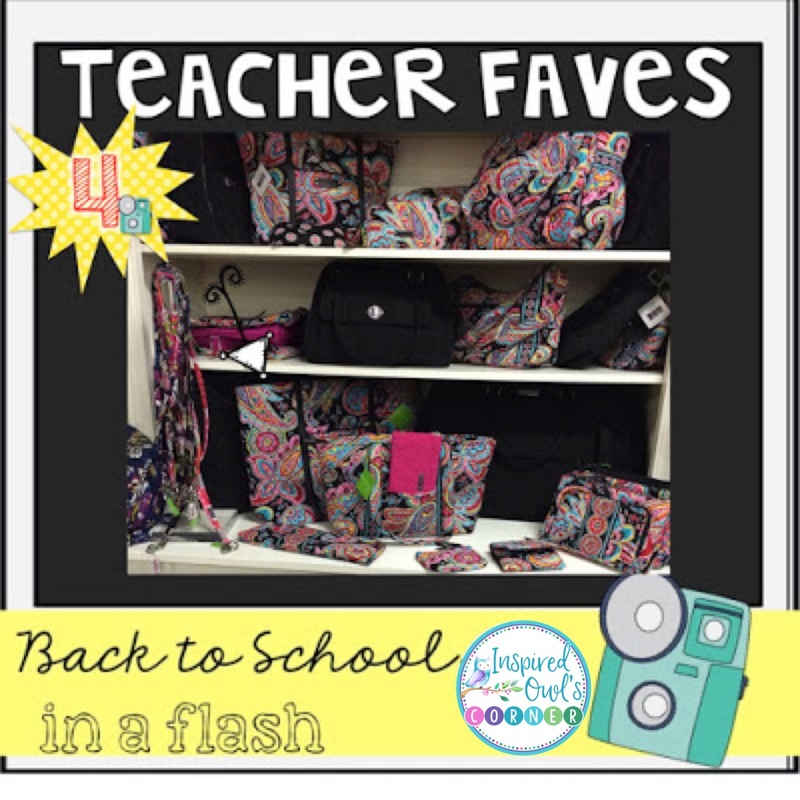 A new school year always starts with some new VERA! Thanks for linking up! I agree! Thank you Courtney! I love mine! :) Thank you for stopping by!